This snapshot shows the temporary structures in the section underneath the kitchen. It also shows new waste pipes replacing the original ceramic ones that were leaking at several connections. The crawl space started to look like a coal mine, and the plumber called me "mole man." 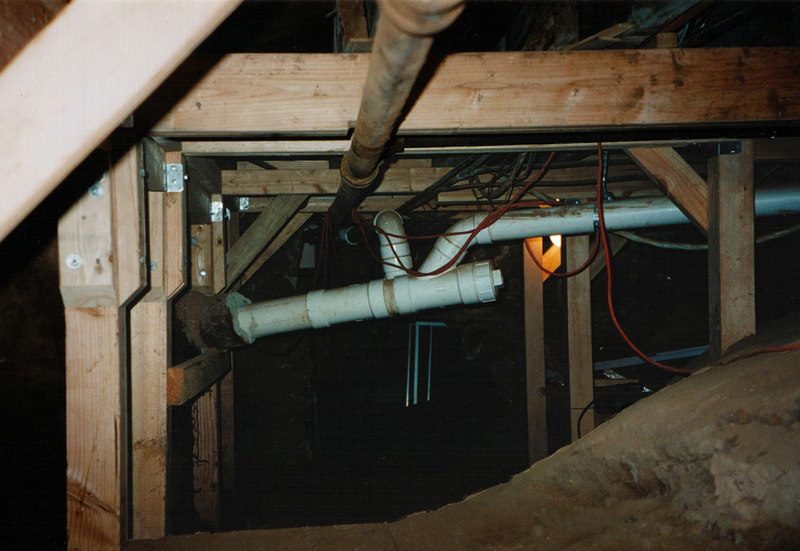 After removing some of the earth, a brownstone ledge appeared that left sometimes not more than 1 foot of soil underneath the joists. The upshot was that I had to do the digging bent over, or on my knees, or even lying on my side.